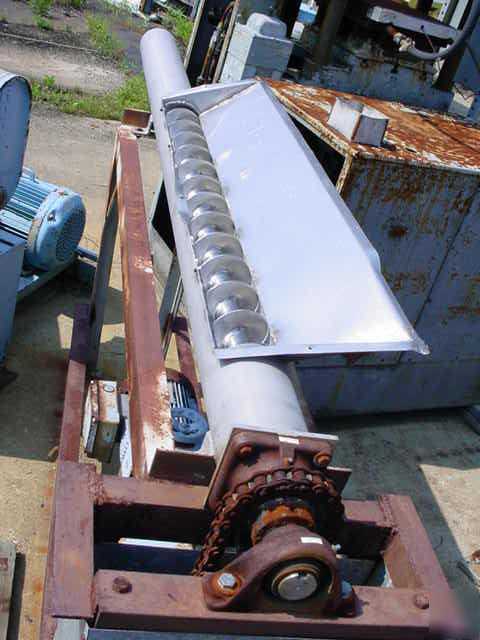 Manufacturer: Eurodrive Material: SS Item: CONVEYOR, SCREW Description: Screw feeder. 5" diameter x 7' 6" long screw. Horizontal with 4' inlet opening. Driven by a vari-speed, 2 hp TEFC motor. Notes: Price/Availability Subject to Change Without Notice We load most items FOB Pedricktown, Nj. Email or Call Frank at Cell anytime with questions. Thank You!